Maine Roast Protein Coffee contains the purest natural coffee beans paving the way to a wonderfully delicious drinking experience. The natural aroma, and favor is derived from the Colombian sourced coffee beans which are then roasted in Maine. Combining the highest quality coffee beans and roasting techniques, leads to the barista experience you can prepare in the comfort of your own home! 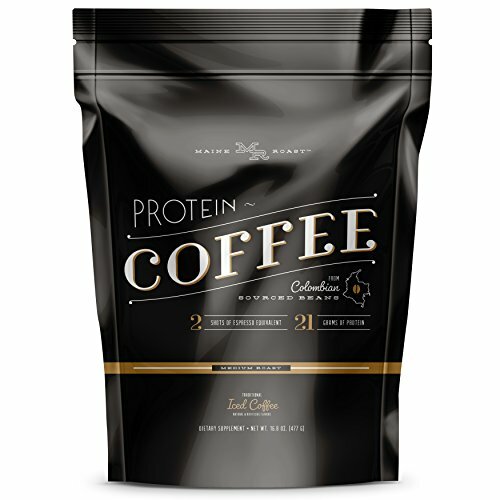 In addition to our high quality coffee beans, we have added premium whey protein which makes your coffee as nutritious as it is delicious. Equivalent to 2 espresso shots per servings. Contains Whey Protein Isolate, which is the fastest digesting protein with the lowest amount of fat per gram. If you have any questions about this product by Complete Nutrition, contact us by completing and submitting the form below. If you are looking for a specif part number, please include it with your message.